Every 26 seconds an American student drops out of school and across the globe 900 million people cannot read or write – an education crisis buildOn is fighting to end. In the U.S., buildOn empowers urban youth to transform their neighborhoods through intensive community service and to change the world by building schools in some of the economically poorest countries in the world. Internationally, buildOn is breaking ground on a new school every three days in Haiti, Nicaragua, Nepal, Senegal, Malawi, and Mali. 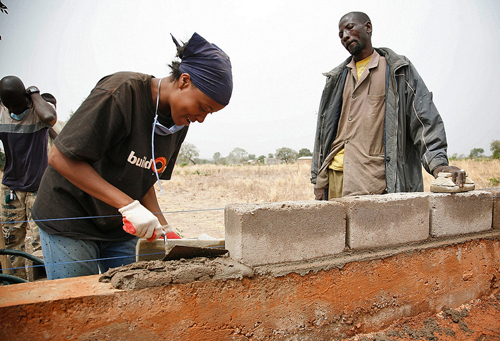 To raise money to build schools in developing countries, buildOn uses an incentive based fundraising model. Students from buildOn’s 80 university and high school fundraising chapters band together and raise money as a team, for the opportunity to travel to physically participate in the construction of a buildOn school. 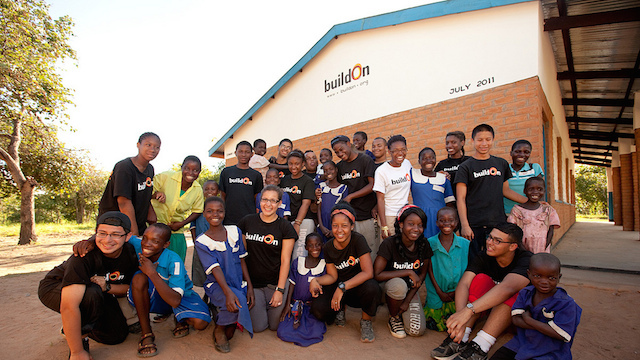 During the first two weeks of May, buildOn raised $102,183 . Knowing that the majority of buildOn’s fundraisers are high school students, we wanted to know how they are motivating students to raise so much money. To get some answers we reached out to Erin Wallace, buildOn’s West Coast Chapter Manager who shared why buildOn’s “Give and Get” model works. What is a “Give and Get” Model? Every buildOn chapter that participates in the international program is required to raise $30,000 – money that is exclusively used for the construction of a single school. This is a lofty goal, but buildOn has developed a model that excites students and inspires them to fundraise. The “Give and Get,” model that Erin referred to is simply an incentive based program. Students know that they are getting something in the end – the privilege to work side-by-side with parent and grandparents as they build a school for their children. This is a huge motivation for buildOn’s chapter members and it is one of the reasons why buildOn has experienced such success. For many students, this is a once in a lifetime opportunity, which is why they are so dedicated to raising the money. $30,000 is a lot of money, but thanks to peer-to-peer (p2p) fundraising, achieving such a daunting goal is less challenging. Every chapter fundraises as a team and buildOn has taken the initiative to pre-create each team’s fundraising page. All the students have to do is create their own p2p fundraising profile and join their respective team. Once students are on board, they start sharing their campaign with friends and family and donations start to surge. Asking for money is never easy, but peer-to-peer fundraising is empowering. Rather than spending time on the phone or going door to door asking neighbors for donations, students have the ability to instantly share their individual profiles and ask for support. Another great thing about p2p fundraising is that it allows buildOn’s students to track their individual and team’s progress. buildOn has found that when students can see how much money is being raised online it boosts their confidence and inspires them to raise more. Erin explained that buildOn sees an increase in donations during the fall, when chapters are first kicking off their fundraising campaigns. Last November through December, Erin roughly estimated that over $400,000 was raised online for the construction of schools. Some fundraising does continue into the spring, but right now the majority of students are fundraising for their summer travel costs. Most of buildOn’s treks happen in the summer and students are required to raise the money for their airfare and additional travel expenses. This again, is just another incentive for their students to work hard and tap into their network of donors. BuildOn has experienced tremendous success in part because they have found a system that works for their organization. The Give and Get model gives students an incentive, while p2p fundraising a tool of empowerment. Click here to check out a buildOn team fundraising page to see first hand how students raising money.